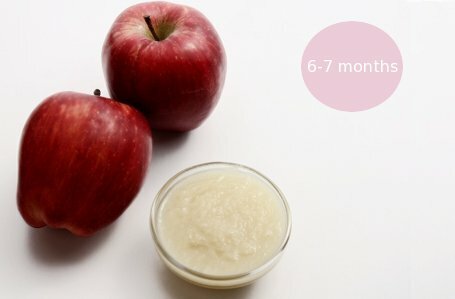 Apple sauce or Applesauce is a puree made of apples. It contains pectin which tends to make stools firm. Hence it’s effective in reducing loose motions. Apple once chopped starts turning brown in contact with air. To delay browning you can soak the pieces in some water (actually, lime water is more effective but we don’t want to make the apples sour for the baby). Peel and chop apple into chunks. Bring water to boil. Add apple pieces such that the water is just enough to cover the apples. Now cover and cook on sim heat till apples are tender. Drain out the water and mash the apple pieces into a sauce. Do not over cook the apples as they could lose their flavor. You can make the same sauce with skinned and de-seeded peaches. Do not give applesauce to a baby suffering from constipation. 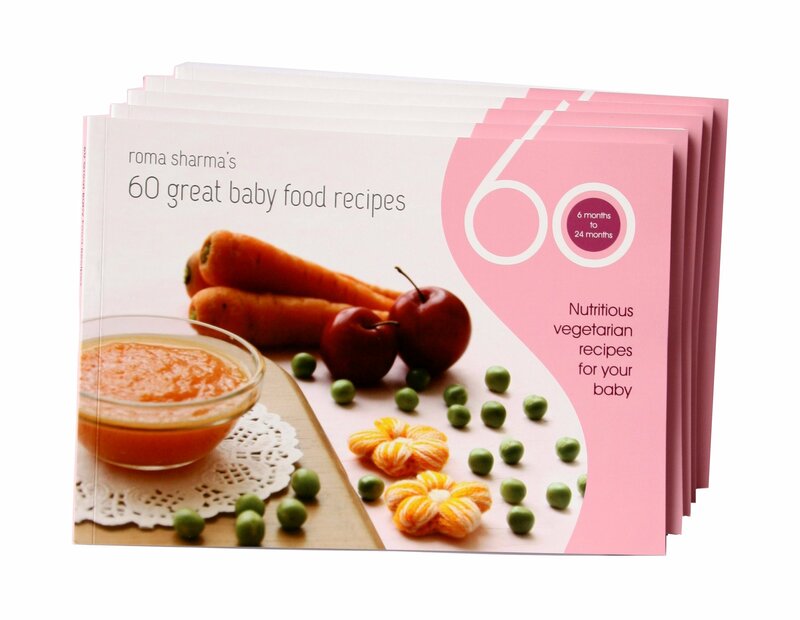 Apple is a good source of dietary fiber, Vitamin A and Vitamin C.
To find more baby food recipes from my book visit the Gallery here. Yes Neha, but it wont taste as good. Till it becomes soft. Just pricking it should break it easily. Its recommended to use sweet apples, please avoid adding sugar. Cooking in open, putting them in water and throwing off the excess water, all these will also get rid of the nutrients! I cover while cooking and put in just enuf water so there’s no excess ( about1 tablespoon in half apple). Hi, I steam apples instead of boiling. Which is better? It cant be kept for long. It will get spoilt in 1-2 hours. Please check with the doctor. Thanks.